While the concept of big data is nothing new, the tools and technology and now in place for companies of all types and sizes to take full advantage. Enterprises in industries such as media, entertainment, and research and development have long been dealing with data in large volumes and unstructured formats - data that changes in near real time. However, extracting meaning from this data has been prohibitive, often requiring custom-built, expensive technology. 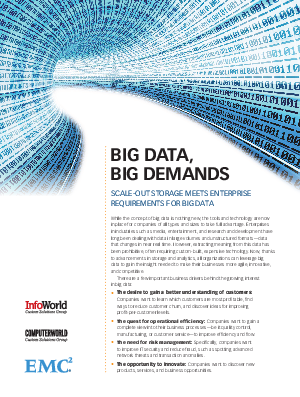 Now, thanks to advancements in storage and analytics, all organizations can leverage big data to gain the insight needed to make their businesses more agile, innovative, and competitive.